Picture Books: To Rhyme or Not to Rhyme? I was doing some intense thinking about picture books last night. My writing class asked me why I'm not keen on rhyming picture books and I didn't have a coherent answer for them. But I do now! So what conclusion did I come to after my late night read? A large number of rhyming picture books are all about concept (love, ABC, 123, colour) and it's hard to get emotion and conflict into even the best of them.Yes, yes I know Julia Donaldson manages to pack her books with emotion (and others do too - Madeline, Millions of Cats, Ten Little Fingers and Ten Little Toes etc) but she is one in a million. Non-rhyming picture books are all about story, character and emotion. I like books that squeeze my heart, books full of emotion and power. 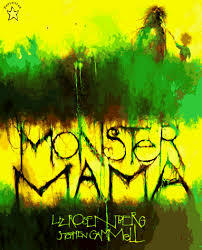 Owl Babies, Where the Wild Things Are, Lost and Found, The Heart and the Bottle, Monster Mama (see below for details). I hate insipid, badly rhyming picture books about loving your mummy (who is also a teddy dressed in human clothing). Managing to make the last words on each line rhyme does not magically turn a writer into a poet. The whole line has to sing. Is there a better picture book? Love it - and it has my name in it! Oliver is exceptional. One of the greatest picture book talents Ireland has ever produced. My childhood is embedded in this book. Loved it as a child, love it now. The illustrations make me shiver, they're so good. I also love Rules of Summer. All his work in fact. Incredible book about a mother and her son, bullying and the power of love. Best writer for toddlers ever. Her domestic scenes sing with love. Exceptional picture book from 1967 about sibling rivalry. I was read it first when my sister was born and it's stayed with me all that time.